Renting this large cabin building is an adventure in itself, and one with several advantages over other types of lodging. If you’re planning a getaway, this cabin rental can reduce some of the costs associated with going on vacation. 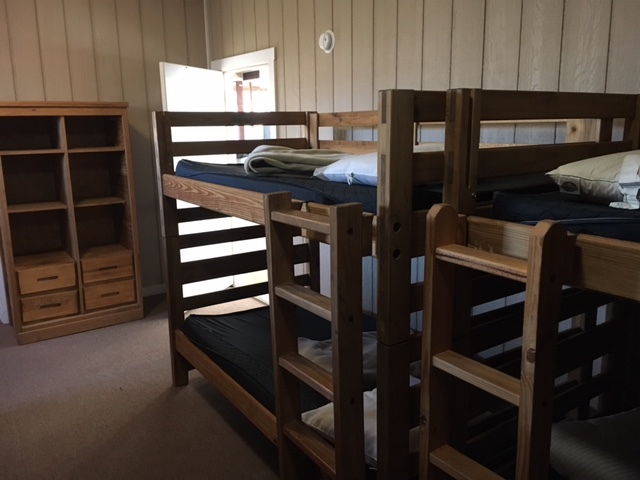 Our Leadership Center is ideal for large youth and young adult retreats – or large families, groups of friends, or two or more families who want to vacation together. You can step outside for a stroll or sit out on the porch and enjoy privacy and a space that’s all your own. 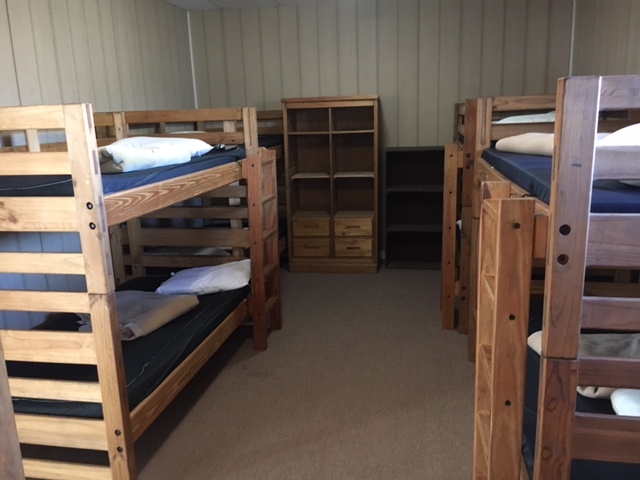 A truly unique, self-contained building, with 11 total bunk bed-style rooms on 2 floors, each with in-suite baths/showers and a 6,000 square-foot activity area (weather permitting). 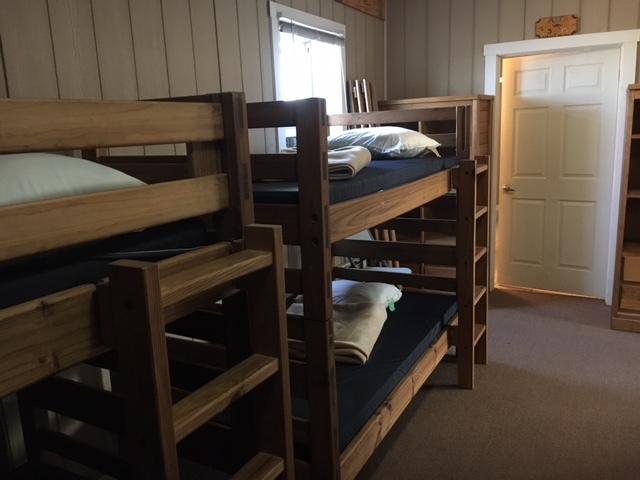 This building is available for year round use with all sleeping rooms fully heated, air-conditioned and insulated. Total capacity of 70 guests in shared rooms.